With Business Image Printing custom printed pizza style boxes you can package your products of any kind in a useful yet effective manner. 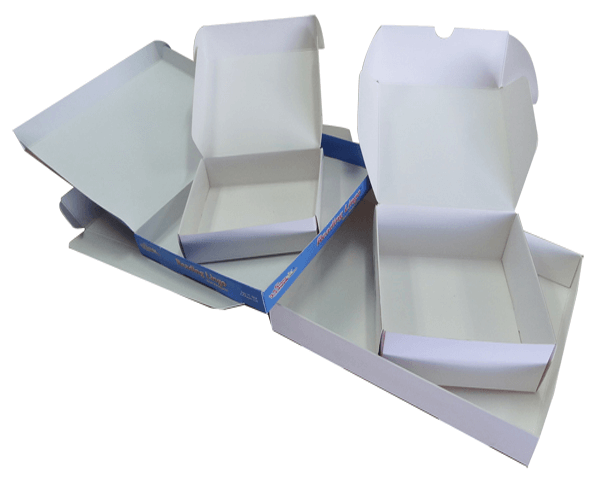 While the name says otherwise, you can obviously put any type of product you’d like in these pizza style boxes as they are simply custom printed boxes with a built-in lid, perfect for candies or products with multiple pieces. But that’s not the end of it, in addition to helping you create the design of your custom printed box exactly how you like it, our team of highly-skilled experts can help you print virtually anything you want onto the box as well from special patterns to company artwork or logos. All you have to do is give us a call and we’ll gladly discuss your plans for your custom packaging from design ideas to any concerns about the look of your product’s packaging, whatever you need you can be assured that our team is always willing to help. At cost-friendly prices and fast turnarounds, you can get your products packaged in quality custom packaged without emptying your wallet or waiting a lifetime to get it either. With Business Image Printing ’s professional-grade custom printed pizza style boxes in your hands, we can assure you that you’ll be able to take your product to new heights. For more information regarding any special additional features such as spot UV coating, hot stamp foiling, or embossing, feel free to contact us for more details.